The website www.lanuitdesetoiles.be comes under the copyright protection principle, set by article L.111-1 of the French Code of Copyright (CPI). 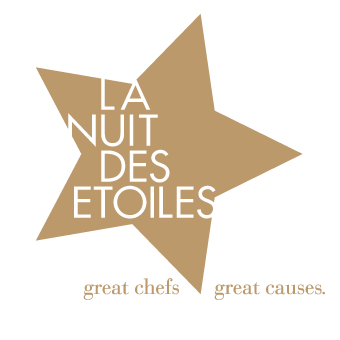 It is the exclusive property of La Nuit des Etoiles. The whole website and its content (texts, logos, scripts, pictures, icons...) are protected. Copying, reproducing, publishing, modifying, sending (by download, email or any other means), even partially(other than the ones provided in French article L. 122-5 of the CPI), this content cannot be done without previous authorization of La Nuit des Etoiles. All the pictures of the website www.lanuitdesetoiles.be are protected by a copyright: they cannot be used without previous authorization of La Nuit des Etoiles. Users browsing this website promise not to disrupt its functioning by malevolent deeds against the site or the editor (such as impersonation, address usurpation or electronic keys takedown). The informations published on this website are not contractual. Inaccuracy or omission can not be charged to La Nuit des Etoiles's responsability. There are several types of cookies, some of wich are essential for good navigation on the website. Navigation, in order to keep a good graphic consistency or/an ergonomic navigation follow-up. Allowing to manage your data of connection to the site, in order to avoid repeating typing of your identifiers for example. Making it possible to follow the evolution of the website as well as to monitor the traffic in terms of visitors. Click on the icon "delete navigation data"
"Cookie" menu, select the options that suits you. "Tools" menu > "Internet Options"
By using this site, the user agrees not to disrupt the proper functioning of malicious acts against the aforementioned site or the publisher (such as identity theft, address or manipulation of electronic identifiers). The information published on this website are not contractual. The responsibility of Fabien Bourdin can not be held responsible for inaccuracies or omissions. The external links used in this site have all been the subject of a written request of exploitation. It is therefore forbidden to use them without the express authorization of their respective publishers.